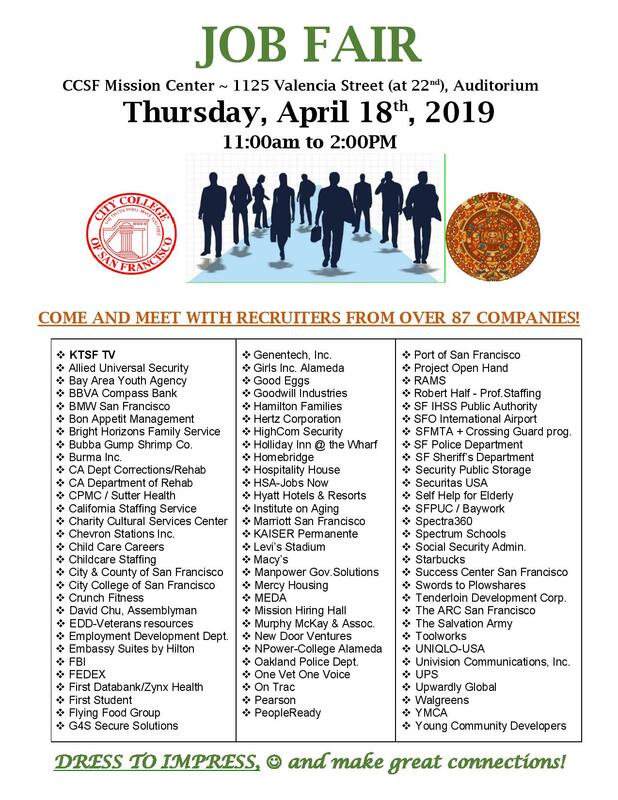 The flyer below lists the companies and organizations participating in our 15th annual Job Fair on Thursday, April 18th , 11am -2pm at CCSF Mission Center, 1125 Valencia. 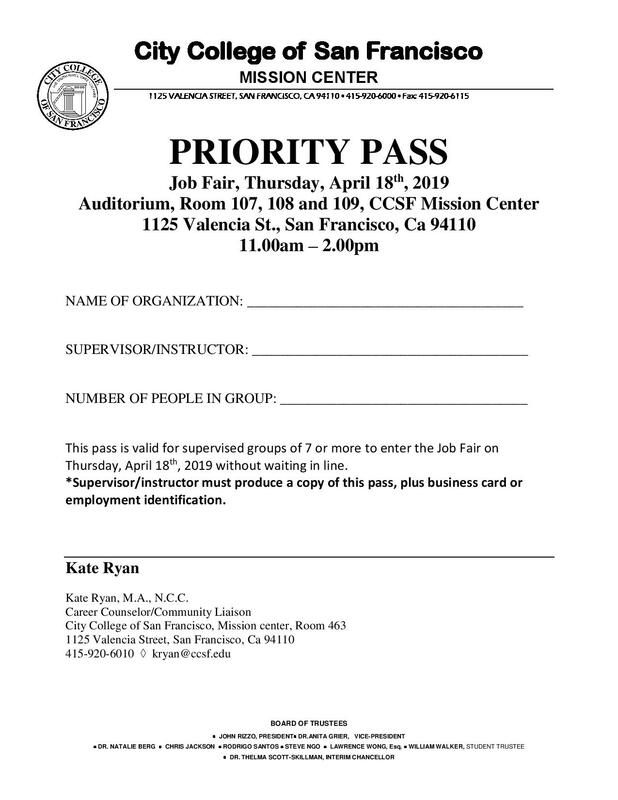 Everybody is welcome – not just CCSF students. And as an added incentive, our Priority Pass is available below for anybody who can bring a group of at least 7 people – you get to jump the queue – yeah! 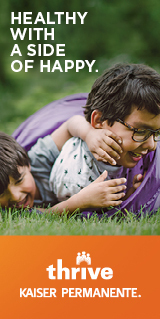 Any room for more business to join? !